Chromebooks don’t cost much and they work well. No setup is needed for this device, since each user can log in with their Google account. 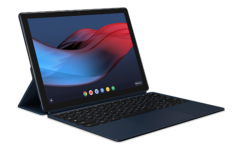 Google claims that using its device in schools will require 70 percent less effort and more than 90% less time to manage Chromebooks, when compared to Apple iPads or Windows laptops. Chromebook’s boot-up time is less than ten seconds. Chromebooks are automatically kept up to date for free (no need for manual downloads), and it has built-in protection, so you’ll always have the latest virus protection, as well as multiple layers of security. They also come with the features like Voice Search. Thanks to offline apps like Google Docs and Gmail, users can keep getting stuff done, even when they are disconnected from the web. They can write answers to their e-mails, read e-books, edit documents, listen to music and watch movies without any Wi-Fi signals nearby. 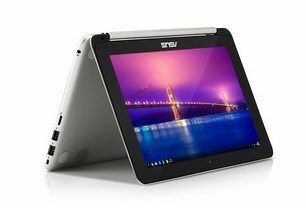 Because of this, Chromebooks is just as productive when you are off-line as when you are using Mac OS, Windows desktop, Linux and so on without an Internet connection. 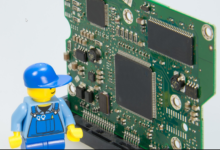 If your Chromebook for school is stolen, (since theft is a frequent problem of all electronics), and it contains your child’s school work, all the data is kept safe since all papers and notes are stored in the Google cloud by default. Google has also made it easy to disable stolen Chromebooks, making them useless for the thief who took it. One of the top features that we like is the long-life battery. You can leave your charger at home and not worry about it dying in the middle of an important project while away. As to apps, Google offers a suite of programs exclusively for schools such as the Google Apps for Education Suite; class-specific ChromeOS and Android apps, as well as Google Play for Education, etc. 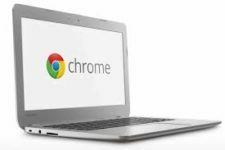 We suggest that if you want to get a Chromebook, consider purchasing a used Chromebook instead of a new one. 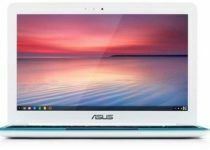 When considering a used Chromebook, you should know that getting rid of personal information and resetting a Chromebook is a snap. Whoever logs into the Chromebook next is its new primary owner. That means you can trust a used Chromebook to not have malware hiding on it. Negatively, Chromebooks don’t come with much storage; however, Chromebooks store almost all the data on Google Drive. Also, whenever you buy a new Chromebook, you get two years of at least 100GBs of free Google Drive storage. Unfortunately, you can’t run Adobe Photoshop, Windows PC or Mac specific programs on a Chromebook. You can; however, run Microsoft Software-as-a-Service (SaaS) applications (such as Office 365). There is currently an Adobe beta version of Photoshop for Chromebooks, Project Photoshop Streaming in development. You can run Windows or Mac OS X from your Chromebook with programs such as Chrome Remote Desktop or Chrome RDP. You can also run them from your Chromebook with Citrix Receiver. If you have a Linux desktop, you can also run Chrome OS and Linux at the same time on your Chromebook with Crouton. What about Google Photos on Chromebook? Google Photos works equally well on iOS and Android platforms and computers. This useful app gives you access to unlimited photo and video storage, in addition to editing tools and collage and album making ones. In addition, Snapseed is a Google generated app that lets you tweak your photographs and change them using various filters. I mean this old Chromebook version, of course.